COMPLETE THIS APPLICATION FOR FUNDING REQUESTS OF UP TO $1,000. **If your funding request is for $1,000 to $5,000, please complete the “Traditional” application found on our website. Instructions: Complete the application on the website. You may "Save and Continue Later" - the site will email you a link which is active for 30 days. Complete all questions; review instructions document for full details before completing. The required Project Budget listed in Section III must be submitted on the Budget form on our website. If your organization is not a 501(c) 3 tax exempt entity or division/department of a government agency or religious organization, you must have a Fiduciary Agent in order to apply for grant funding. Your Fiduciary Agent must complete and sign the 2018 Fiduciary Agent Form. The completed form must be submitted with your original application. Contact Thayer Talbott, 860.347.0025, for more information. 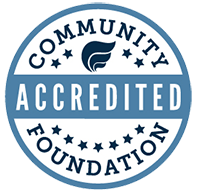 The Community Foundation’s Application Budget Form is the required format. Please provide a one page itemized budget of income and expenses of the program/project, including the amount raised or expected from other sources. If the project is ongoing, please provide an explanation of how it will be funded in the future. Please provide a one page summary of the organization’s current operating budget, including the date approved by the organization’s board of directors/trustees or other governing entity. Attach a list of Board members and officers, with professional affiliations, to the application. For programs which are in collaboration with a school district or between two organizations, Letters of Support are required. Additional financial documentation, including the organization’s most recent audit, annual report, and IRS Form 990 may also be required. Only provide this information if requested. For this application, if different from above. “3-years-grants/1-year-off” Policy For Competitive Grant Funding CFMC instituted a “3-years-grants/1-year-off” policy beginning in the 2009-2010 cycle for organizations receiving funding through the competitive grant making cycle. If an organization receives grant funding through the competitive grant making process for 3 consecutive years, the organization will not be eligible to apply for a grant in the fourth (4th) year and must wait one year before applying for funding again. Note: This policy applies only to grants received during a competitive grant cycle. Please check all that apply. If you answered yes to all three grant cycles listed, you are not eligible to apply during the current competitive cycle. Organizations receiving grants from the Community Foundation of Middlesex County must promote their funding awards according to the marketing and public relations guidelines established by the Community Foundation. By signing the application below, the CEO/Executive Director understands the Community Foundation’s marketing and public relations requirements if awarded a grant. The Community Foundation will host a seminar on marketing guidelines and tips for grantees annually. The Community Foundation’s Grantee Communications Kit may be downloaded on our website in the Nonprofit Resources section, middlesexcountycf.org/nonprofits/resources/forms-pr-guidelines/.